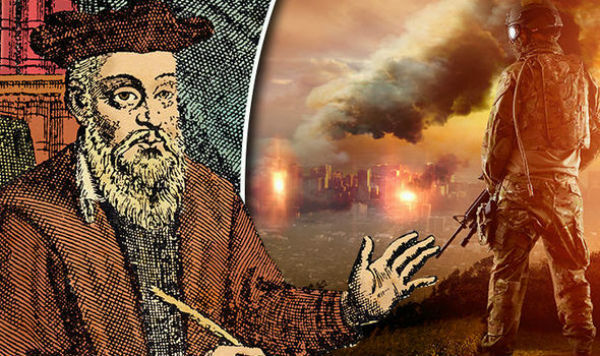 Michel de Nostredame was a 16th century French philosopher who, according to followers, has predicted many historical events including 9/11, the rise of Hitler and Donald Trump’s presidential victory. After a year full of surprises and political upsets, believers have looked once again to Nostradamus’ writings to try to predict what the new year will bring. Italy could face financial hardship with rising unemployment and loans making it the “epicentre” of a fresh eurozone crisis. The country looks set to experience economic turmoil and a deepening banking crisis in the wake the Italian referendum result and Matteo Renzi’s decision to resign. The “current superpower”, believed to be a reference to the US, is expected to become increasingly ungovernable and incompetent in the year that Mr Trump enters office. Another prophecy is said to predict a new truce between Russia and Ukraine, which will be opposed by the US but embraced by the EU. In Latin America, Governments are forecast to move away from left-wing policies, which will help set the stage for potential civil unrest. The most terrifying of the alleged prophecies is a “Hot War” over global warming and diminishing resources, with the greatest threats said to be biological warfare and terrorism. In terms of technology, Nostradamus predicted that cloud computing would simply become known as computing, solar power would become more widespread, and commercial space travel would take off with orbital flights around the Earth.